Claudette by Elisha Lim. Photo by Melissa Clark. 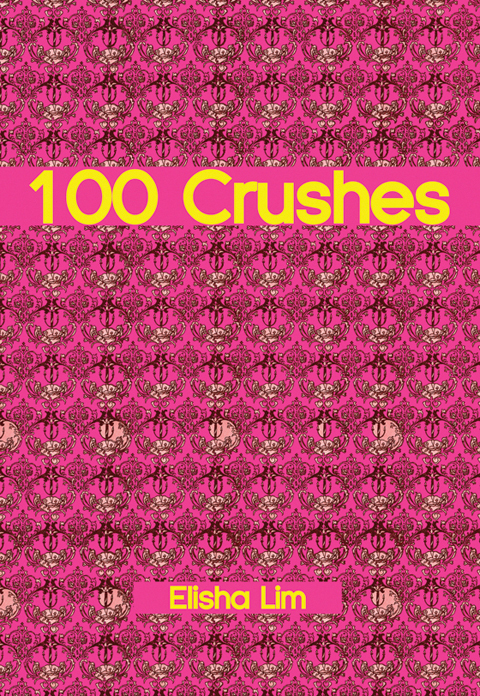 100 Crushes by Elisha Lim. Book cover art courtesy Koyama Press. 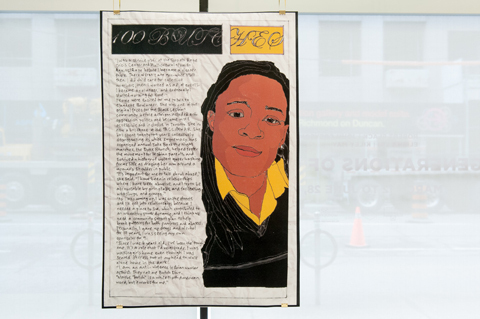 Elisha Lim’s work is a part of the Generations of Queer exhibit at Onsite [at] OCAD University. Curated by Lisa Deanne Smith, the exhibition (which also features the work of Robert Flack, John Greyson and Kiley May) is about storytelling and raising a public voice, exactly as you are. Lim and May both situate themselves between genders using the pronouns they, them and their to define themselves rather than she or he. Lim is an artist and storyteller known for combining writing and drawing in sensitive, perceptive portraits. They exhibit illustrations and animated shorts internationally, and their work includes comic series 100 Butches, the calendar diary The Comfort of Queer Family Wisdom, drawing series Sissies and the Femmes that Inspire Them and graphic novel 100 Crushes. I never got into art school. I applied and got rejected three times in a row. So the consistent invitations I get to exhibit my art really blow my mind. When curator Lisa Deanne Smith asked to come over to my house for a studio visit, I thought holy, I’d better make myself a studio to visit. Everyone in my house helped out. We emptied the guest room and acted like it had always been my art gallery. Six months later I was sitting on a panel in the OCAD U auditorium, explaining my process next to legendary queer artist John Greyson. There’s also a “Generations of Queer” billboard at Yonge and Dundas, advertising our exhibit as if it was a blockbuster movie. How the art world works is amazing to me. If you come down to the gallery you’ll see my friends. I make art in order to archive and celebrate the amazing, creative avant-garde that is my queer people of colour community. I’ve transcribed and illustrated these people and their stories because they have shaped the best parts of me. They call me on my mistakes and celebrate me in my achievements. Leroi and I used to throw Gladstone parties for queer people of colour. Kama and I helped direct Montreal’s first Racialized Pride Week. Claudette tells me the only stories I know about non-white queers in Toronto in the 70s. Come down and see them. When you read their stories hanging in the gallery, you’ll be looking at the best school I’ve ever been to.